Your security as a player is of the utmost importance to us. 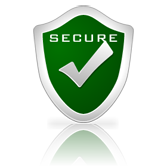 We are committed to protecting your privacy, and do not sell, trade or rent your personal information to others. All of your confidential information is encrypted. This way, no one can gain access to your financial or personal details. When you open an account at Videoslots, your details are fully encrypted by 256-bit SSL encryption, for total security. When data is transferred over the Internet, we and our e-commerce partner use 256-Bit Secure Socket Layer Encryption Technology to ensure the security of all data. This is the encryption technique of choice globally for leading financial institutions. 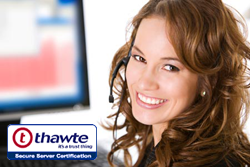 The SSL certificate we use is verified by Thawte. This means that no information sent from our site can be read by a third party. Credit Card number and other classified information will be sent over a secured, encrypted connection. Details are fully encrypted by 256-bit SSL encryption, for total security. When data is transferred over the Internet, we and our e-commerce partner use 256-Bit Secure Socket Layer Encryption Technology to ensure the security of all data. This is the encryption technique of choice globally for leading financial institutions. Transaction processing is handled by Videoslots Ltd of Europa Business Centre, Level 3-701, Dun Karm Street, Birkirkara, BKR 9034, Malta (ru20.videoslots.com). Videoslots Ltd is a company incorporated under the laws of Malta and provides the services on the casino website ru20.videoslots.com in cooperation with its subsidiaries and partners, including Panda Media NV. All references to the company and brand name Videoslots on this site are also to the benefit of subsidiaries and partners of Videoslots Ltd, including Panda Media NV. All references to the company and brand name Videoslots on this site are also to the benefit of subsidiaries and partners of Videoslots Ltd, including Panda Media NV. If you are totally dissatisfied with the service you have received, we will consider your case and refund your purchase so long as your reason is valid. To apply for a refund e-mail us on support@videoslots.com. ZignSec turns the user´s mobile phone into a bank token, available 24/7. Using the most common piece of technology available – a user´s mobile phone - ZignSec protects the Internet and Cloud against fraud. ZignSec is a brand within PayGround AB, a Svea Ekonomi Group Company. Svea Ekonomi AB was founded in 1981 and is one of the leading financial corporation groups in Europe. PayGround AB is based in Solna, Sweden. With several years of experience in system development, PayGround delivers secure mobile payment solutions. The in-house development and the vast experience in mobile solutions ensure swift and accurate products. Any company with a registered customer base and any company offering their customer's online payments will improve their customer relations and service, simply by using ZignSec. Find out more about ZignSec here. On a monthly basis, Videoslots.com payout percentages are reviewed by eCOGRA, 3rd party independent auditor, to ensure that our payout rates are correct and fair to our customers. eCOGRA is a well-known, established auditor who performs the same review on many other online casinos throughout the world. Click on the below image to see our monthly payout percentages reviewed by eCOGRA. As part of this, we request proof of identity and proof of address when you make your first withdrawal request. This is easily done once logged into your Videoslots Account, within the “My Account" -> “Documents”, where you can scan and upload the required suitable documents. For proof of identity, we will require a scan or photo of a government-issued photo ID, such as a driver’s license, passport or national ID card (any confidential information can be blocked out as appropriate). For proof of address, we will require a scan or photo of a recent utility bill, bank statement or telephone bill that shows your name and address clearly (any confidential information can be blocked out as appropriate). By government law, we are not allowed to provide our services to residents of the United States of America. This also applies to players in Israel, Belgium, Turkey and Denmark.